Names of my boys past! 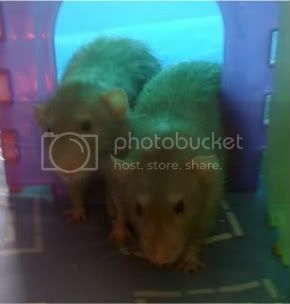 My boy's are called Mr Pickles (R.I.P) & Master Splinter but they are always shortened to pickles & splinter. They fit very well too! I loved choosing names for my boys. You can just choose words you like the sound of. These are my beloved boys names. Me, Ronnie, Reggie and Ralph. Sooty, Smudge, Fritz and Red. My friend (LOTR-loving archaeology graduate - even her two goldfish were named Lucius and Tiberius) adopted two rescue kittens, and intended to name them Arwen and Eowyn. They ended up as Misty and Mittens.